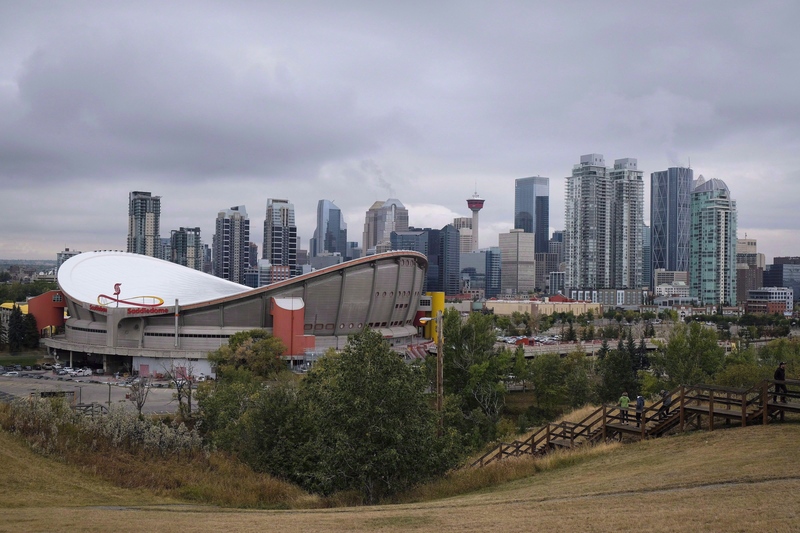 CALGARY -- A Calgary city councillor is expected to introduce a motion today that asks council to kill the city's potential bid to host the 2026 Olympic and Paralympic Winter Games over ongoing concerns about funding. Jeromy Farkas says the public has not been given enough details to make an informed decision in advance of a Nov. 13 non-binding plebiscite on whether the bid should proceed. Farkas's motion will surface at a meeting of the Calgary's Olympic assessment committee. Do you think bidding for the Olympics is a good use of taxpayer dollars? It follows weekend reports that the city and province are concerned about the federal government's contribution to covering the bill from the Games. If the motion is passed by the assessment committee, city council would vote on it at a meeting on Wednesday. The plebiscite -- expected to cost about $2 million -- would be scrapped if council elects to cancel the bid. On Saturday, Alberta Finance Minister Joe Ceci accused the federal government of negotiating in bad faith as numerous parties try to hammer out a funding arrangement. Ceci responded to a late Friday statement from a spokeswoman for Sport Minister Kirsty Duncan, which said Ottawa would contribute up to $1.75 billion to support core costs for the event if the 2026 bid is successful. The statement said Ottawa would match the combined provincial and municipal investments, and the $1.75 billion figure would be based on 2026 dollars. Ceci said the province's pledge of $700 million for the Olympics was based on a federal commitment of $1.75 billion in 2018 dollars, and followed weeks of negotiations with Ottawa and Calgary. He said the commitment wasn't contingent on a 50-50 matching arrangement and that province's $700 million figure is firm. Calgary Mayor Naheed Nenshi said the city was surprised by the federal announcement because negotiations are still ongoing. Mount Royal University political science instructor Lori Williams said Monday that the funding uncertainty leaves city council with little choice. "People need more information before they go into that vote. If it isn't available, then it's going to be very hard to get to yes. In fact, it's going to be hard to get people to turn out if they're uncertain," she said. Emma May, a Yes Calgary 2026 representative, says proponents of a bid are not disheartened by the possibility of the bid being scrapped. "We're trying to keep our chins up and we're staying really positive that there is a deal to be had out there," said May. "Give us a chance to vote on it. Come up with a deal, show us the deal and let us vote on it."